Dry Cleaning, Laundry & Ironing - FREE Pickup & Delivery! 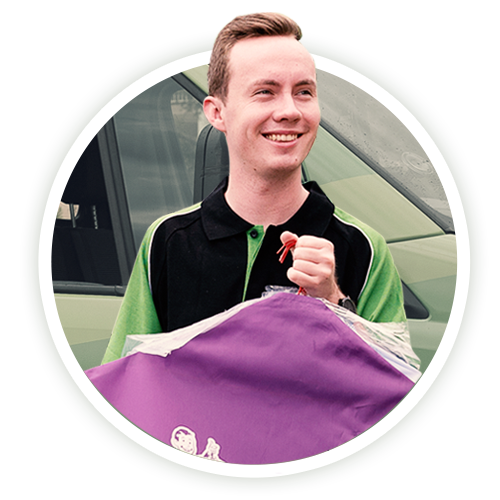 NEED DOOR TO DOOR DRY CLEANING IN DOUBLE BAY? 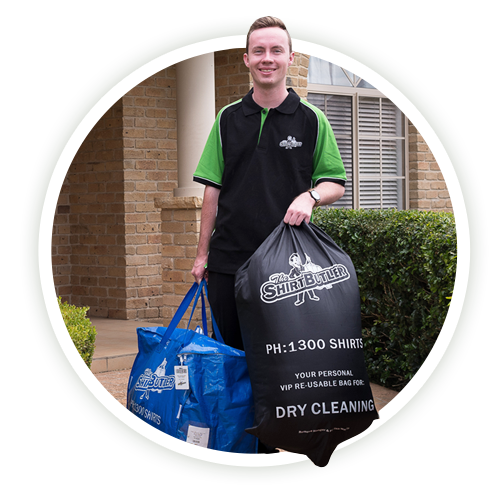 The Shirt Butler now operates in Double Bay and the surrounding suburbs of Sydney, providing the best in quality and reliable door to door laundry, washing and dry cleaning services. Do you want more free time and to get rid of the hassle of washing, folding and ironing? If YES, then book your pickup today and receive $20 off your first order. Sick of laundry? Too many business shirts to iron? You’re not alone – heaps of Double Bay residents have taken up The Shirt Butler’s services. We also offer both wash & fold service and an ironing service that will allow you to get back some of your free time and get rid of the chores you don’t enjoy – so you can spend more time at the beach or out with friends. Sounds amazing! How does it work? If you live in Double Bay and would rather spend your free time doing the things you enjoy, then give The Shirt Butler a go. You’ll get our premium door-to-door service, 48 hour turnaround time and $20 off your first order! Get started with your first order today. Does The Shirt Butler operate in Double Bay? Yes! We sure do. Currently, we operate across the Eastern Suburbs and the Lower and Upper North Shore areas of Sydney. If you have any other questions that aren’t featured on this page, check out all of our most commonly asked questions on the FAQ page. Book your pickup online today. Can I send both dry cleanable and washable clothes for cleaning? Yes. With your first order please sort your clothes into separate bags (everyday plastic bags are fine). Place a note in each bag with your name, mobile telephone number, and the type of service required. 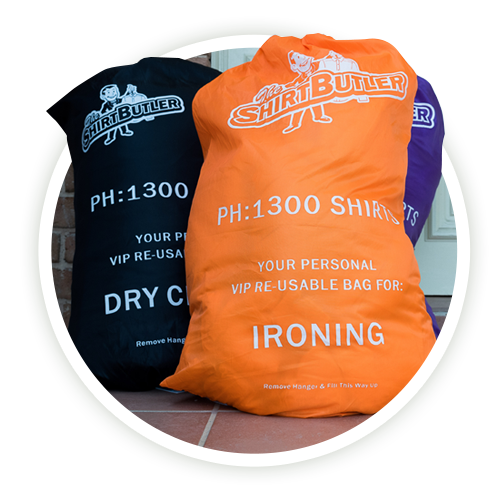 Once your first order is placed, you will receive a set of reusable VIP service bags (one for each service) so that you can easily sort your clothes depending on the services required.